Some things in this world just don’t make sense, especially when one thing seems to be moving in two, completely opposite directions at the same time. While a civic leader in the small Irish town of Kilgarvan recently suggested legalizing a certain degree of drinking and driving in order to preserve pub culture, others are working hard to prevent those who have been drinking from crawling behind the steering wheel and heading out onto the roads. Increased enforcement efforts, like random checkpoints, have historically been the primary tactic used to get drunk drivers off the road. Soon, new technology might be a significant part of the solution. Advanced sensing technology is being developed that would prevent a drunk driver from operating a vehicle. Currently, ignition interlock devices are available that essentially tie a portable breath analyzer to the car’s ignition system. Potential drivers are to blow into the breath analyzer, and if the blood alcohol content is below a preset level, the car will not start. Mothers Against Driving Drunk, MADD, favors requiring breath alcohol ignition interlock systems in the vehicles of convicted drunk drivers. According to MADD, these interlock systems reduce drunk driving repeat offenses by 64 percent. Most of the failures of the system are associated with lax enforcement measures, not the devices themselves. It seems logical that if all cars had these interlock systems, drunk driving would decrease significantly. However, there are practical issues with requiring every driver to blow into a tube before heading out onto the road. That’s where some new technologies enter the picture. A few different ways to sense a driver’s blood alcohol level might soon be built into all new cars. Nissan recently rolled out a concept car that demonstrated how one of these technologies would work. The company’s Drunk-driving Prevention Concept Car uses a sensor built into the transmission shift knob. 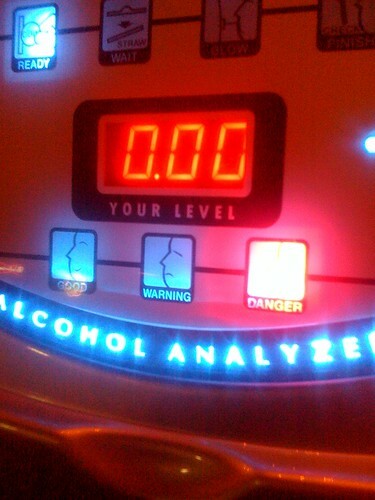 It samples the driver’s perspiration and analyzes it for alcohol content. If the blood alcohol level is above a certain preset limit, the transmission automatically locks down, and the car’s navigation system starts to emit an audible “drunk driving” voice alert. The concept car also has built-in alcohol odor sensors throughout the cabin. When alcohol is sensed in the air, a voice alert is heard, and a message is sent to the navigation system’s display. Another technology being developed uses a touch sensor and laser technology to analyze the level of alcohol in a driver’s bloodstream. This system, along with other less intrusive breath-detection systems are being researched and developed with funds from a $24 million bill that included the Driver Alcohol Detection System for Safety (DADSS) program, which President Barack Obama signed into law in July of 2012. Some involved believe these advanced alcohol detection systems will be available by the end of 2013. The Insurance Institute for Highway Safety estimates that more than 7,000 deaths would be prevented if these kinds of devices were installed in all cars. Whether the federal government will eventually require the technology in all new cars is not yet known and is somewhat controversial. At what blood alcohol level would the technology be set to disable the vehicle, and would it be so much below the legal limit that an unimpaired driver would be unable to drive? Could intoxicated passengers prevent a sober driver from operating his or her car? How dependable is the technology? Why should every driver be forced to pay the additional cost of the technology when only some drive drunk and some don’t even consume alcohol? The editorial also pointed out the possible benefits from installing the systems in public transportation vehicles like buses and taxi cabs. And hey, what about in the cockpits of commercial aircraft? Further, while preventing 7,000 highway deaths each year is an excellent goal, it would only be achieved if every drunk driver drove a car with some kind of interlock system. It takes about 25 years to turn over the entire fleet of vehicles in the United States. The time line would be extremely long, and the cost over that period of time would be substantial. 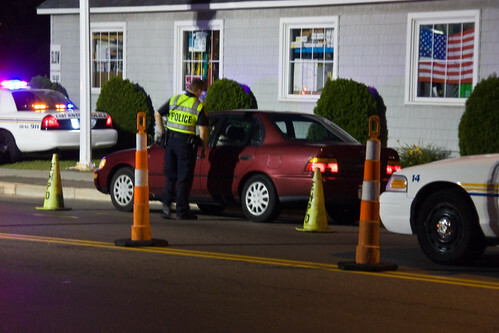 Requiring interlocks for even first-time DUI offenders could be a better plan. These are the kind of cost-benefit analysis American lawmakers will have to complete very soon. It will also be interesting to see how legislators from small Irish towns come down on the issue.